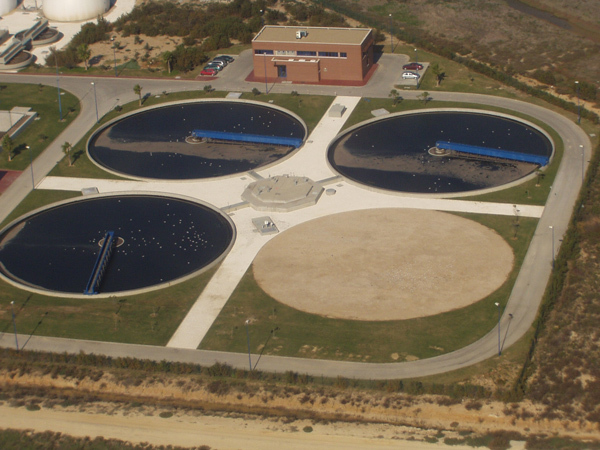 In the municipal sector is where our high efficiency plastic filling BIOFILL® offers more applications. 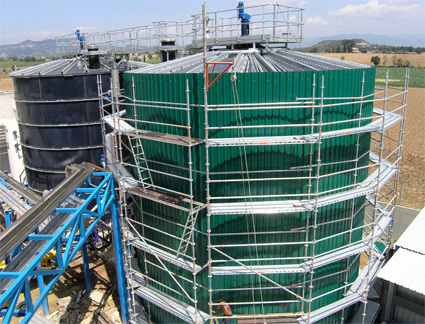 For new plants in medium and large municipalities, the high efficiency plastic filling BIOFILL® type A or BIOFILL® type B can be installed. Choosing one or another depends on the requirements of the engineer who designs the plant. For a certain population, with the type A it will be needed a reactor with less capacity than with the type B. 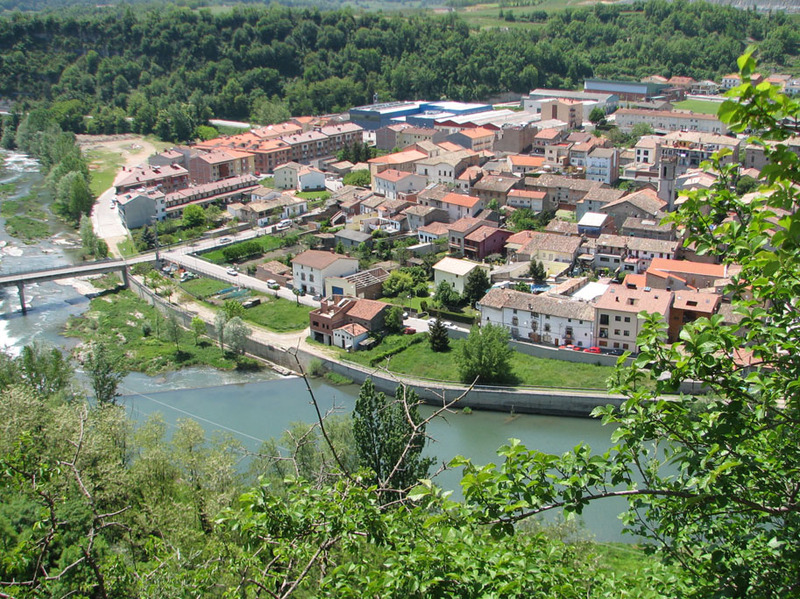 For small municipalities (less than 1000 inhabitants), the most recommended are the BIOFILL® type A, or BIOFILL ® type B, for compact plants from 1000 inhabitants to a single family. In these cases, it is most recommended using BIOFILL® type C. The biological purifying system named MBBR (Mobile Bed Bio Reactor), which consists on increasing the biomass concentration inside a biological reactor in order to make easier for it to attach to an inert support (a plastic filling), achieving a better performance in organic charge elimination and reducing the reactor’s volume. The MBBR system presents a very important advantage compared to other current systems, like MBR (Membrane Bio Reactor). While these need periodic cleaning and even the replacement of membranes, the mobile bed system doesn’t need maintenance neither changing the filling, except in the event that the waters contain a high concentration of some product that degrades the support’s material. 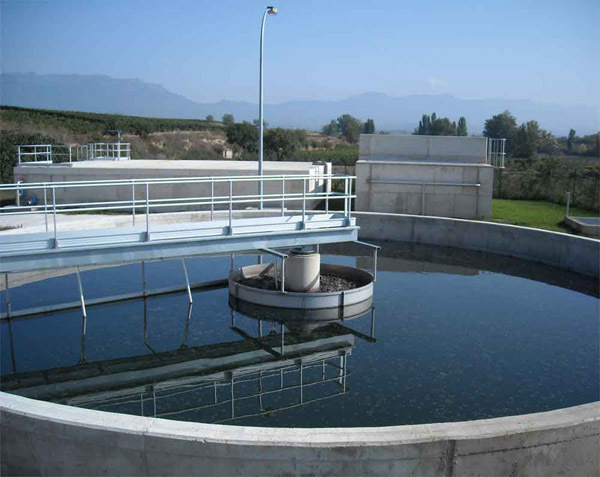 The applications and advantages in these processes would be similar to the stated before, what would change would be the percentage of filling in reference to the tank’s volume. 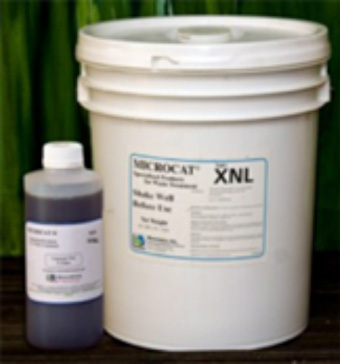 Some MICROCAT® products are essential in order to improve the performance of the contaminants’ elimination and of the installed equipment. 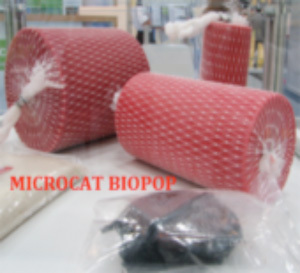 MICROCAT BIOPOP. To eliminate fat in pumping wells. MICROCAT SX. 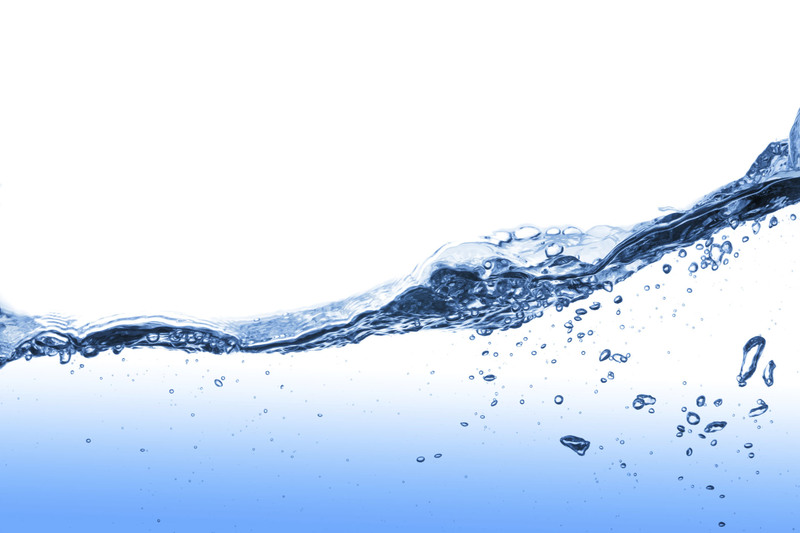 To eliminate emulsioned fat in biological reactors. MICROCAT XNL. To increase nitrification capacity. MICROCAT XS. To activate compact purifying plants. 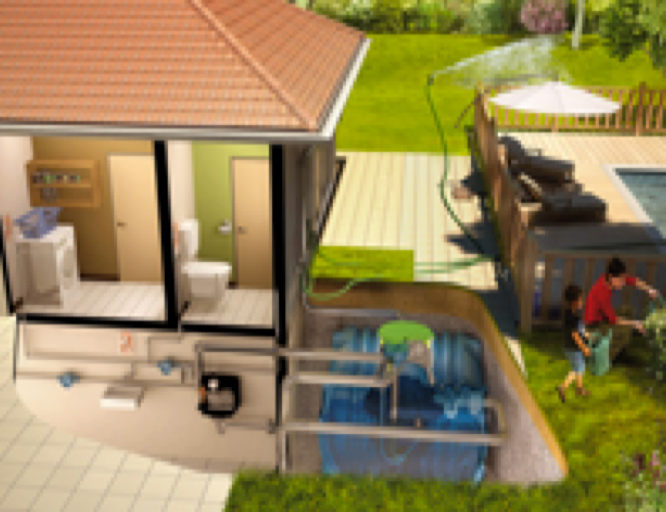 MICROCAT ST. To reduce odour production in septic wells. MICROCAT UASB. To increase gas production in anaerobic processes.